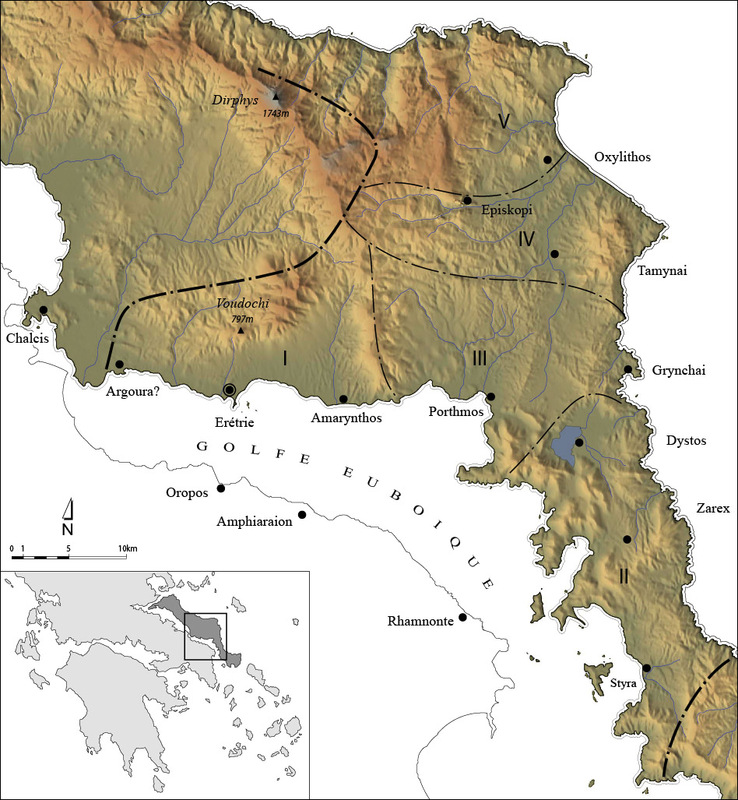 Since 1964, Swiss archaeologists have been excavating and studying the remains of the ancient city of Eretria, on the island of Euboea, but clearly much remains to be discovered: only a tiny part of the site has been excavated, while the materials deposited in the Museum and the documentation of older excavations have not yet yielded all the information they hold. 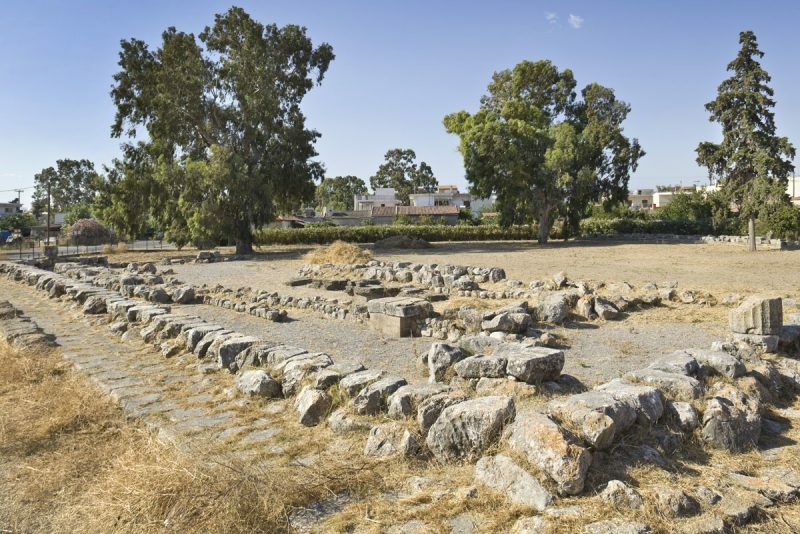 Moreover research issues have considerably evolved during the last 50 years and research activities have recently extended beyond the city walls, to explore the territory of the ancient polis of Eretria. Below are some of the past and ongoing projects the Swiss School has been carrying. 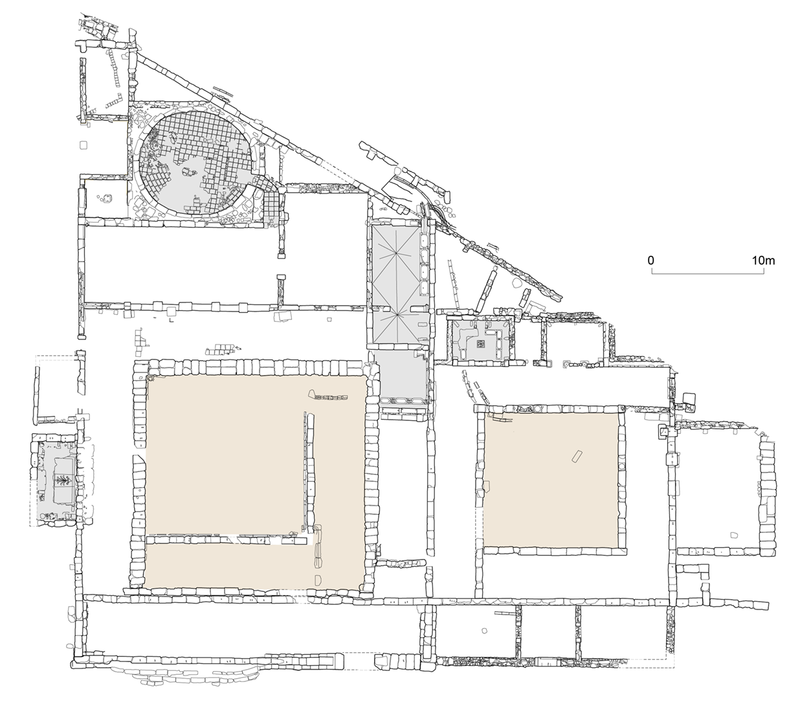 A three-year excavation program in the Gymnasium of Eretria was carried out between 2015 and 2017 to explore the eastern part of the building and to clarify its chronology. The double-courtyard plan of the Gymnasium was probably motivated by the use of distinct spaces by two different age groups. It is one of the rare occurence of such buildings throughout Greece. 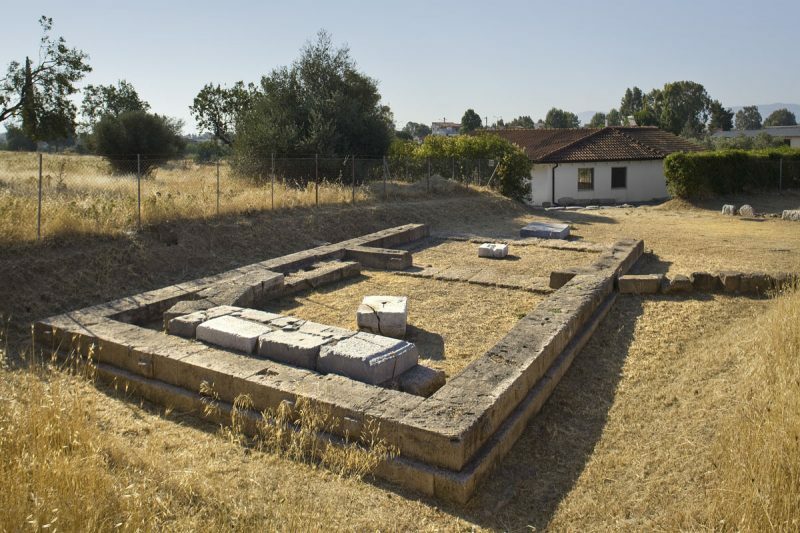 Another palaestra located near the harbor of Eretria will be investigated in 2018 in order to get a thorough understanding of the institution of the gymnasium in the city. An interdisciplinary program started in 2012 combines macroscopic, petrographic and chemical analyses (WD-XRF) towards a diachronic investigation of pottery production and supply on the site from the Early Bronze Age to the Roman period. 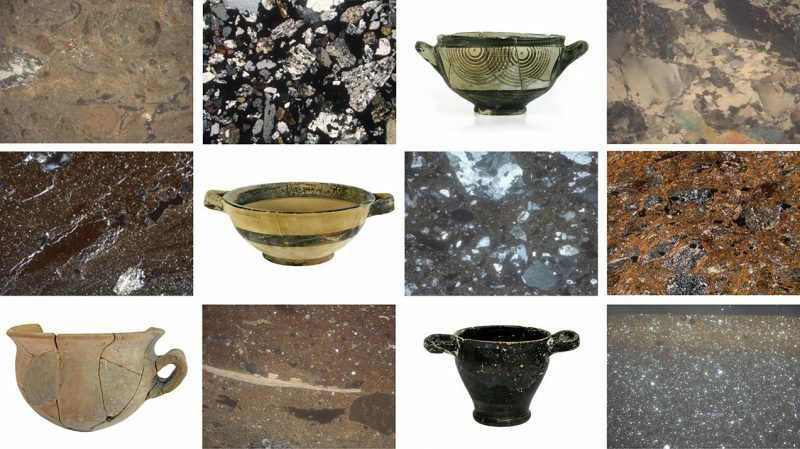 Based on 425 pottery samples carefully selected from stratified deposits, the main objective is to characterise, both compositionally and technologically, local Eretrian production tracing variations and changes in local craftsmanship over time, but also imported vessels investigating the site’s changing role in regional and interregional networks. activities, surrounded by porticoes. Large kilns used to produce lime for mortar were also uncovered to the north of the complex, as well as a Late Hellenistic–Early Imperial tholos baths. The Roman baths were in use from the end of the 2nd century AD until the middle of the 3rd century AD. The publication of the monument is in preparation and the Swiss School is now endeavouring to restore and develop the archaeological remains. The remains of the sanctuary of Athena were unearthed in the early nineties on the rocky summit of the acropolis. Established above a Bronze Age settlement, this place of cult was frequented between the end of the 7th century and the beginning of the 2nd century BC. The architectural structures have almost entirely disappeared, except for a large esplanade carved out of the rock, but abundant votive material gives evidence to apprehend the ritual practices which took place in the sanctuary. Thousands of pottery vases, mostly ritual, including Archaic miniature hydrias and high-neck jugs, as well as a large number of terracotta female figurines as well as weights, spindle whorls, and epinetra, which refer to the domain of weaving of which Athena was the patroness. For many years Swiss archaeologists were primarily focused on the intra-muros settlement of Eretria. More recently, a growing interest in the wider setting of the ancient city has yielded significant results. 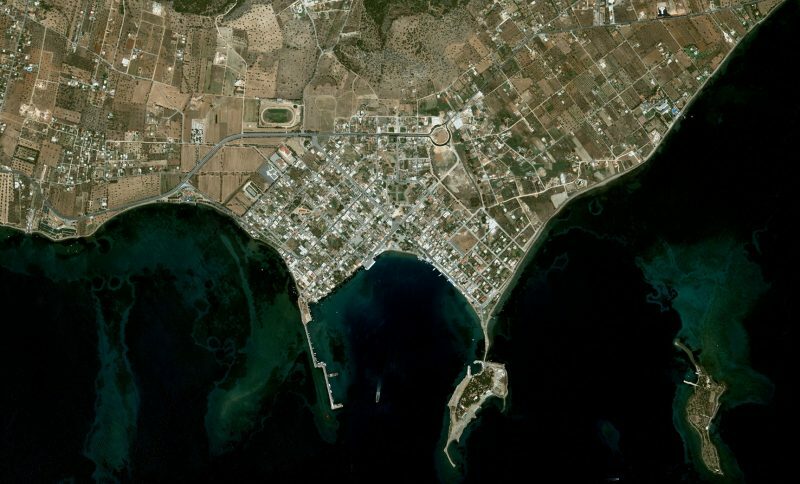 The polis of Eretria extended far beyond its fortification walls. Its territory, the “Eretriad”, covered at the end of the 4th c. BC some 1300km2 and was among the largest in continental Greece during Classical Antiquity. The civic organization of this territory and the exploitation of its resources have been the subject of in-depth historical and archaeological studies. The territory comprised hundreds of demes, farms, fortified sites and places of worship. The Sanctuary of Apollo Daphnephoros, the poliad deity of the Eretrians, was built in the 8th century BC. Excavations by Swiss archaeologists started in 1964 and were extended between 1998 and 2003 after a period of interruption. The main goal was to clarify the spatial organization and chronological development of the Early Iron Age sanctuary. During the Late Geometric II, the construction of a monumental edifice aligned with the altar brought new magnitude to the sacred area, with ample evidence of worship: votive objects were found in the monumental building as well as in the vicinity of the altar. Cult activities include animal sacrifices at the altar, banquets and presentation of prestigious votive offerings, as well as processions and dances. The main crossroad of Eretria was excavated during five seasons. Important archaeological remains dating mainly from the Late Hellenistic to the Imperial periods were uncovered, in particular a Sebasteion. The temple of the imperial cult erected in the Early Principate hosted several statues of members of the Augustan, Julio-Claudian, Antonine and Severan dynasties, of which hundreds of marble fragments were recovered during excavations. Workshop facilities (dyeing?) of the early 1st cent. A.D. to the mid–2nd cent. A.D as well as a limekiln and (possibly) latrinae were are also uncovered on either sides of the main road.